Coral Brooke has spent her professional career in social care, managing a home for people with complex needs and learning disabilities. Within this role Coral planned care, managed staff and resources and worked within a multi profession team working with Social workers, physiotherapists, dieticians and doctors to ensure the best possible care was given. Coral is dedicated to work with people who need help and support so she decided to take a different direction. In her mid 30’s she completed a complementary therapy course, which included reflexology, Swedish massage and aromatherapy massage. Coral enjoyed treating people but wanted to expand on these skills to be able to understand and help people more. Coral has since undertaken a 5-year Osteopathy degree. This gave her the skills needed to treat people with various musculoskeletal conditions. Her main aim throughout her professional career has been to provide a service that is person centred to benefit each individual person needs. 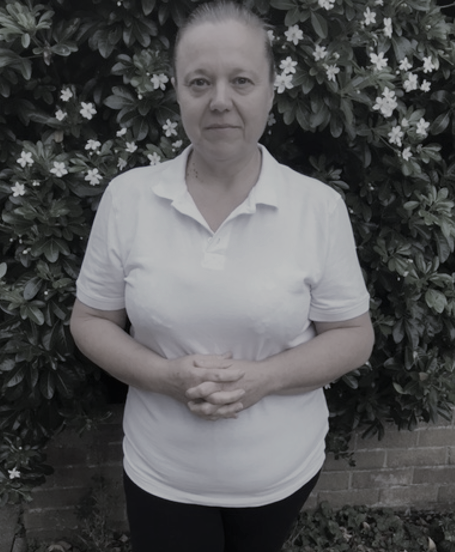 As an osteopath this continues to be her aim as she wants to achieve the best possible outcome for each of her patients, while also providing a professional and friendly service. If you would like an appointment with Coral, please contact us on 01933 664444.